By many Sri Lanka is known for the great wind surfing, water skiing, scuba diving as well as other various kinds of water sports. There are also great opportunities for whale as well as dolphin watching. Yet most travelers don’t realize how many undiscovered yet absolutely breathtaking corners this beautiful island is hiding if you venture just a little bit further off the beaten path. That is probably also one of the main reasons Sri Lanka is still not on many people’s radar, which is actually a good thing and makes it the perfect destination for an unforgettable adventure. Together with our wonderful contacts in this country, we have created an amazing itinerary which I would like to share in this month’s newsletter. This trip covers all of our favorite areas on the island which can be visited comfortably during a 2 week stay and we have only chosen some of the most amazing hotels in each place you are visiting. 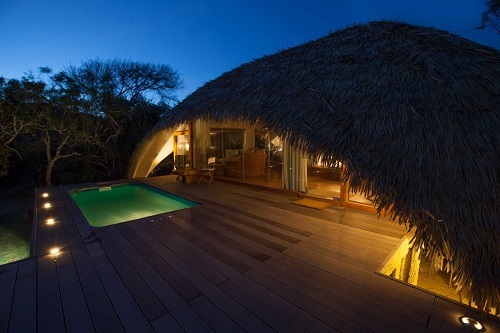 Your accommodation here in Kalpitiya will be the wonderful Anantaya Resort and Spa. Our trip begins with a transfer from the Colombo Airport to Kalpitiya, in the North west part of the Sri Lanka. Kalpitiya is a marine sanctuary with a diversity of habitats ranging from bar reefs, flat coastal plains, salt pans, mangroves swamps, salt marshes and vast sand dune beaches. It provides nursing grounds for many species of fish and crustaceans. The coastal waters are also home to spinner, bottle nose and Indo-Pacific humpback dolphins, whales, sea turtles, and even the illusive dugong. 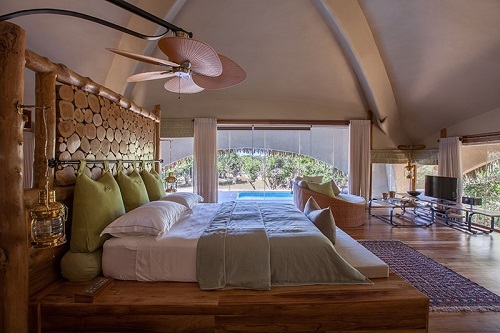 During your 2 day stay you will have the opportunity to go dolphin watching, kite surfing, snorkeling and kayaking or just enjoy the relaxed atmosphere after your long flight for a couple of days. From Kalpitiya your private driver will take you to the central part, the oldest tourist site in Sri Lanka, Sigiriya which has been visited by travelers for the last 1000 years. 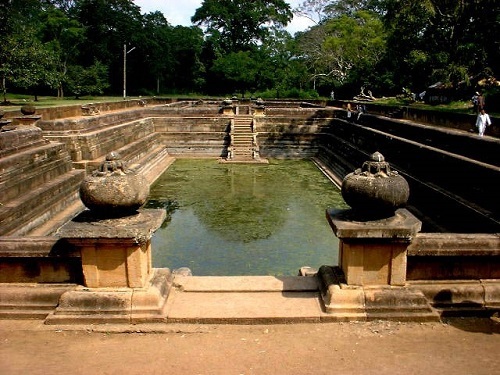 The ancient rock fortress and palace of Sigiriya, currently standing in ruin, still has a magnificent opulence that is surrounded by beautiful gardens, reservoirs and other structures. From Sigiriya you will have the opportunity to visit some of the most amazing sites on the island which I will list in detail below. 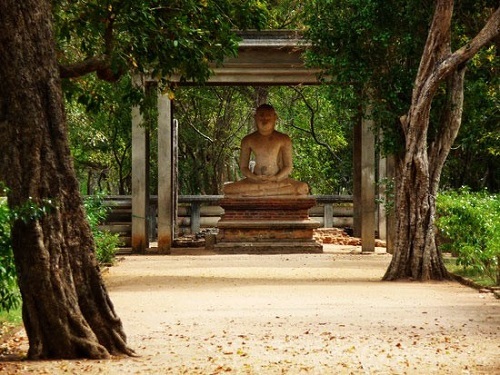 Anuradhapura is a sacred city, popular among Buddhist visitors, which was once the ancient capital of Sri Lanka. Anuradhapura is now mostly in ruins but the ancient city is fascinating and still shows the grandeur of ancient Sri Lanka’s civilization. Here you’ll see huge bell-shaped Stupas built of small sun-dried bricks, temples, sculptures, palaces, and ancient drinking-water reservoirs. The Dambulla Cave complex is the largest and best preserved cave temple complex in Sri Lanka which has highlighted Dambulla on the world map to travelers. Besides the unbelievable craftsmanship, the temple offers serenity, calmness and peace. The rock of the cave complex towers 160m over the surrounding plains and it holds more than 80 documented caves. The Aluvihara Temple, on the north side of the town, is the historic location where the Pali Canon was first written in text on ola (palm) leaves in 29 BC. Matale was a site of a major battle in 1848 when the Matale Rebellion started and the British garrison, in the Fort MacDowall was placed under siege by the rebels led by Weera Puran Appu and Gongalegoda Banda who are considered national heroes in Sri Lanka. 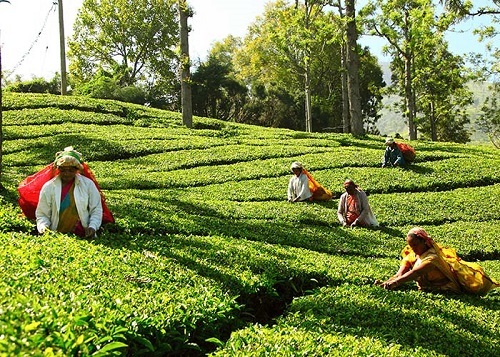 Kandy, also known as Maha Nuwara (The Great city), is located in the foothills of the central highlands. It’s a beautiful city, surrounded by hills and valleys, rivers, lakes and cascading waterfalls. Kandy, which is also a World Heritage City, is frequented by visitors for being a charming hill capital and center of Sri Lanka’s rich culture. 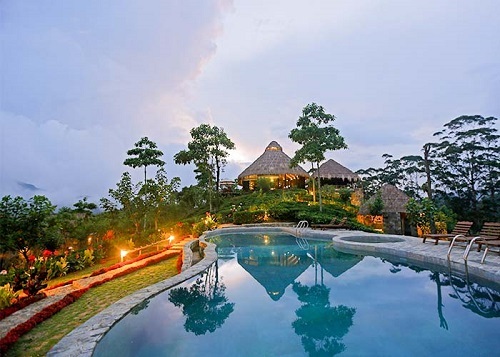 Here you can admire its magnificent architecture displaying Indian and Sinhalese designs. It is a most sacred city for Buddhists with numerous temples and shrines, based on Buddhist architecture. Kandy was declared as a UNESCO World Heritage site in 1988. Your accommodation here will be the picturesque 98 Acres Resort. As we are making our way South, you will spend one night in Ella, a beautiful small village in Sri Lanka’s hill country with a little more than a handful of shops, hotels and guesthouses, but it has an almost perfect climate and occupies a very scenic vantage point, with views on a fine day stretching right across the South Coast of Sri Lanka. Here you will be staying at the luxurious Chena Huts which will offer you the best access to the National Park and give you great opportunities during your 2 nights stay to experience some of the amazing wildlife residing in the park. 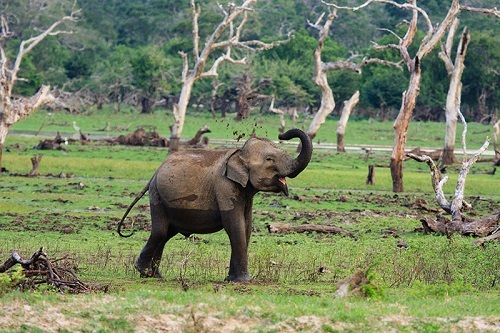 The Yala National Park is the most visited and second largest national park in Sri Lanka. 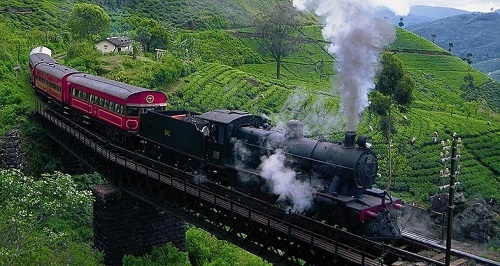 It is situated in the southeast region of the country, and lies in Southern Province and Uva Province. The park covers 979 square kilometres (378 sq mi) and is located about 24km northeast of Tissamaharama and 300 km (190 mi) from Colombo. It has originally been designated as a wildlife sanctuary in 1900, and along with Wilpattu it was one of the first two national parks in Sri Lanka. The park is best known for its variety of its wild animals and is an important part for the conservation of Sri Lankan Elephants and aquatic birds. 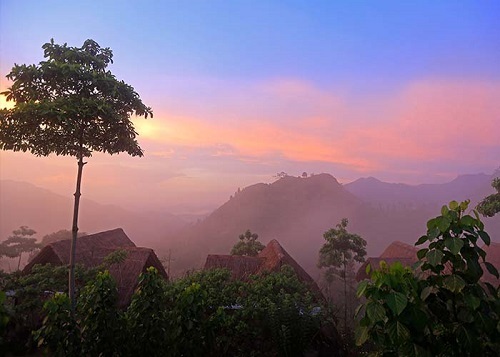 You’ll be spending 3 glorious nights at the luxury Boutique Hotel W15 Escape, located in the tropical lush greenery of a small traditional town called Ahangama on the southern coast. From Yala, we making our way West to Mirissa, where whale watching has been one of the most popular attraction among travelers who visit Sri Lanka, since the year 2010. Whales are spotted just few nautical miles off the Mirissa harbour. Mirissa and its breathtaking sandy beaches transform your dreams and visions of a tropical paradise into an everyday reality. This small sandy tropical beach boasts some of Sri Lanka’s best and most stunning sunsets and sunrises. While in Galle, you will be residing at the historical Galle Fort Hotel. As our Sri Lankan adventure is slowly coming to an end, you’ll be spending your last 2 days in Galle, a picturesque seaside town about 115 kilometers from Colombo, along the South Western coast of Sri Lanka. 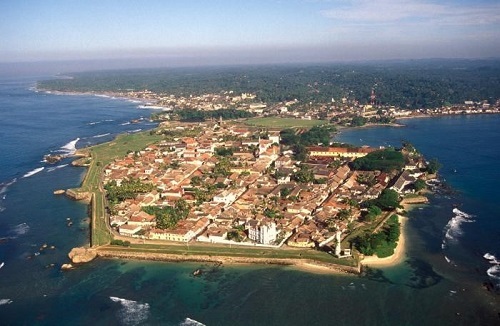 The port city of Galle is one of the best examples of a fortified city built by Europeans in South and Southeast Asia. Travelers can enjoy the great architecture as well as breathtaking views of the ocean and the nearby towns. The Fort is the slow-beating heart of Galle’s history and this will be a wonderful ending to an unforgettable journey. Doesn’t this itinerary just make you want to pack up and start your journey to this amazing country? Please let me know if you have any questions and feel free to contact me anytime if would like to have an itinerary customized, just for you.